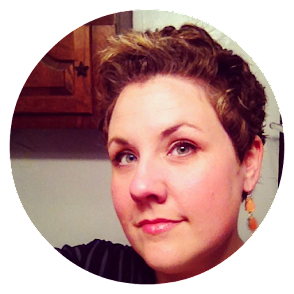 Estella's Revenge: The Sunday Salon: Rollercoaster Week! The Sunday Salon: Rollercoaster Week! I think I'm going to do a whole Weekend Cooking post about the Austin foodie experience, but these should hold you over til then. 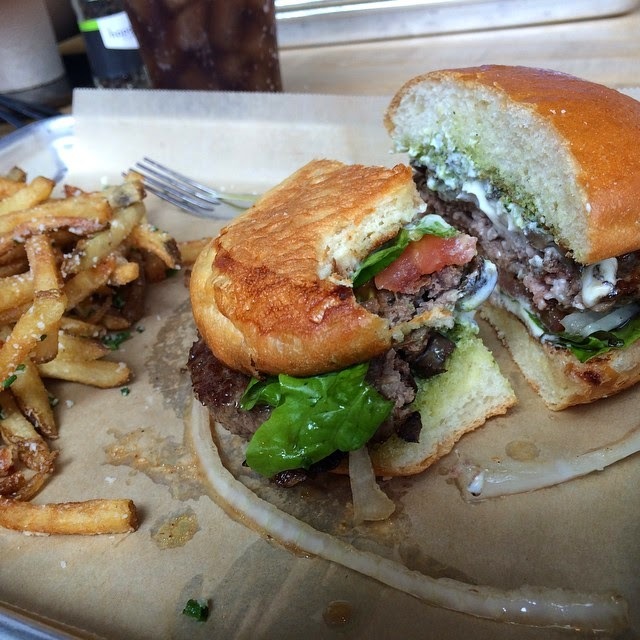 First is the Magic Shroom burger from Hopdoddy Burger Bar. This was a delicious, juicy beef patty, sauteed field mushrooms, local goat cheese, mayo, basil pesto, and lettuce, tomato, and onion on their homemade bun. I didn't expect magic, really since this burger seemed a little standard to me, but the name was spot on. I also got their parmesan truffle fries, and they were a religious experience. The other pic is from Piranha Killer Sushi. The front is their lobster roll which is masago, scallions, shrimp tempura, ginger cream, and the whole thing topped with lobster and avocado. 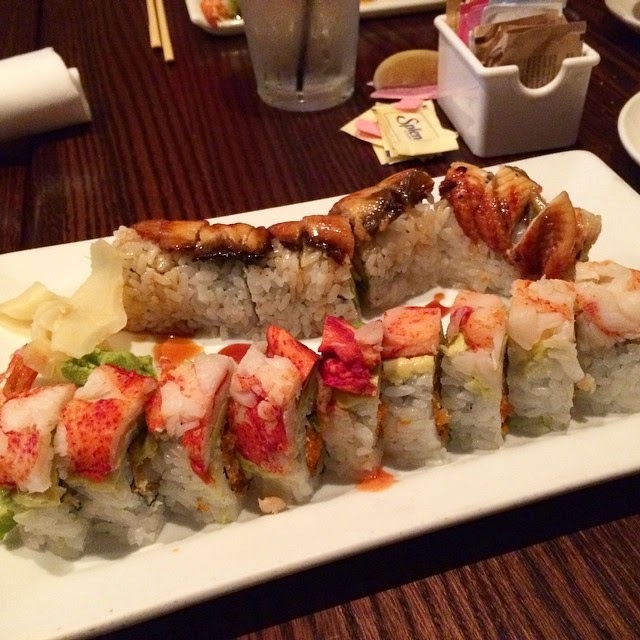 The roll in the back is the dancing eel which is crab, cucumber, avocado, with smoked, BBQ eel on top. After the conference, I spent the better part of Wednesday to yesterday feeling like crap and trying to catch up on all the things. Urgh! Feeling | Overwhelmed! So much to do at work, for online classes which end May 7, and in preparation for next weekend's READATHON! Reading | I got a fair bit of reading done in Austin, and I even bought some books! 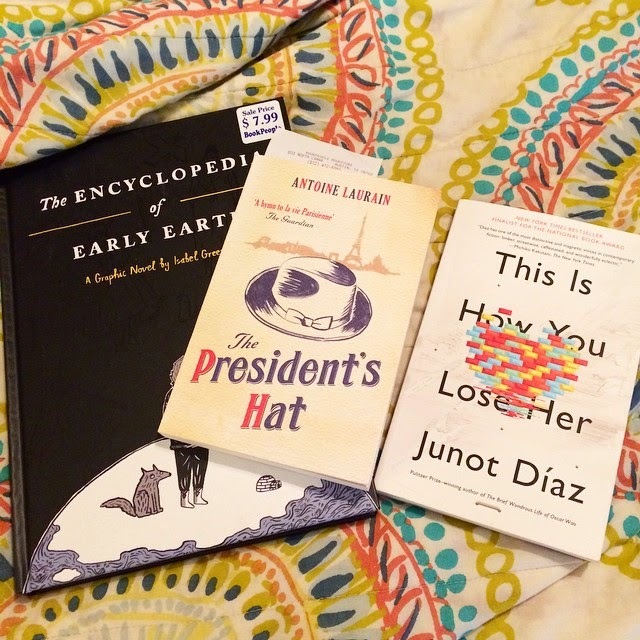 No trip to Austin is complete without a trip to BookPeople, and I picked up Encyclopedia of Early Earth, The President's Hat, and This is How You Lose Her. I'm behind on my #15in30 goal because of all the travel, but I hope between some upcoming weekends and the Readathon I can reach my goal. Right now I'm finishing off Bad Feminist, by Roxane Gay, and working through This Is How You Lose Her, by Junot Diaz. Listening | Taylor Swift. Ain't too proud. Watching | Greyson picking through his birthday gifts from yesterday's party. He was soooo tired last night when everything was said and done, he didn't play with anything except his new Spiderman watch from his friend Carson. Promoting | Dewey’s 24 Hour Readathon! IT IS THIS COMING SATURDAY Y’ALL. Loving | My new nails! Y'all may remember me talking about it, but Greyson and my mom share a birthday. They were both five on Friday (ahem!). When I was brainstorming what to get her, I thought NAILS! Ok, so that wasn't my first thought, but my good buddy Taelor has been getting Nexgen nails for a while, and they are simply gorgeous: natural-looking, long-wearing, not too hard on the nails. THESE were the nails I wanted and I thought my mom might like a set, too. Yesterday after the party, we went to the salon and both got our nails did. I got my natural length (super freaking short), in a color called "Cinderella," a creamy white with little flecks of (subtle) iridescent glitter. Mom got her natural length (ridiculously long to be real) in a pretty mauve rose color called "Champagne Rose." We both keep staring at our hands and talking about how normal they feel...not like heavy, acrylic fakes. Hating | That I have so many papers to grade. Eating | We just finished a little snack of donut holes and milk. Greyson's idea, mind you. Exercising | With my FitBit! I could've kicked myself that I didn't wear it to the conference in Austin. Between walking back and forth from our hotel to the conference hotel, and all the trolling of Sixth Street we did, I definitely would've earned my steps. Anticipating | Making my Readathon pile! Join us over at The Sunday Salon Facebook group! Ohhhh the nails look great! 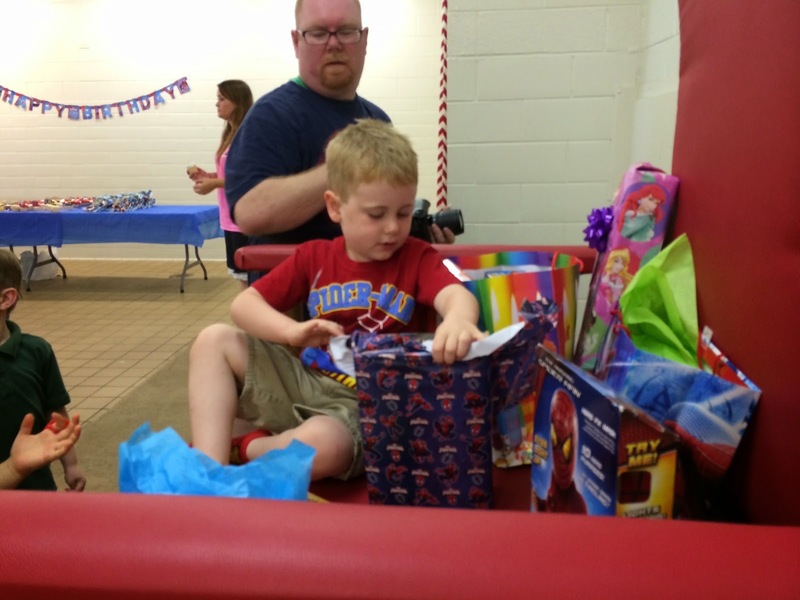 Glad Greyson had such a good birthday! He's getting so big! Thanks, girl! He is getting so big. I'm still hyperventilating that we start kindergarten in August. And is Nexgen like gel? Or more like fake nails? 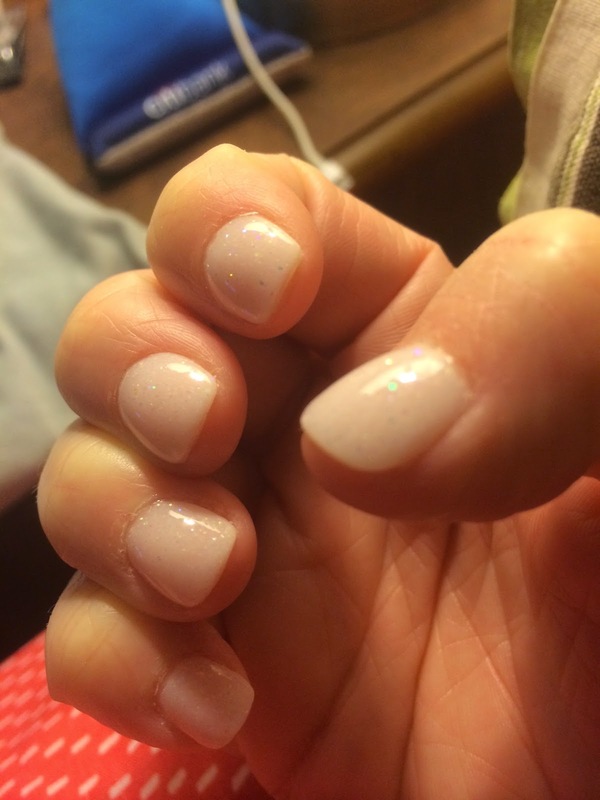 I've never had gels, but from what I can gather, it's like a hybrid of both. It is a coating over the nail but it's WAY thinner than traditional fake acrylic nails. It's supposed to let your nails breathe, and when it comes off (in 3-4 weeks), it comes off in one piece and doesn't damage the nail. The color is chip resistant because it's built into the powder stuff they dip your nails into. Fun post. Who makes that Cinderella polish. I love it. Glad you're safely home and back in the swing of things. I love my FitBit when I travel. I fret much less about getting exercise because I have evidence that I am. Happy birthday to Greyson and your mom! I love love love your nails - looks so gorgeous! I am looking forward to the readathon as well, though I'm still undecided on whether I can participate. It will probably end up being a last minute plan. Well it sure was a huge week for you! Seeing your yummy food I am immediately hungry.. I can't believe your boy is only 5, he looks so big! I still have to decide on my Read-a-Thon pile, but I am getting there. I've seen this format for the Sunday Salon around and I think I will *borrow* it of you don't mind. Often I have problems deciding what to write and this would help me a lot! I hope this week is a bit less charged! Pretty sure I gained about 20 pounds when I was in Austin...so much good food! I'm so glad you got The Encyclopedia of Early Earth!! It's such a great book and it's absolutely gorgeous. Oddly, I was in Austin last week, too! If only I'd known you were there, we could have met up...preferably at one of those awesome Austin foodie spots. You've had a busy week! Let's hope this week brings you life back into equilibrium. Welcome back! Your food pictures had me salivating. Your nails are gorgeous too! I just had my shellac nail polish removed. I love the way they look but man is the upkeep on them a PITA. Yay for the readathon! And happy birthday to Greyson! He is getting so big! Happy belated birthday to Greyson! And your nails look FAB. That burger. OMG NEED IT NOW. And there was somewhere we recently ate that had truffle fries. Wish I could remember where. So good. Hope you have a great week this week and it isn't too much catching up! Love those nails and I'd love to do something similar. I'd like something that's no fuss. I love the look of a mani but don't take the time to keep them up nicely. Hmm. OMG, girl, that food was killing me on Instagram this week, lol. TUMMY GROWLS. Best of luck with all of the readathon prep. I'm wicked excited! Oh the food! That looks amazing! Happy birthday to Grayson. 5 is a fun age if a bit crazy! I love your nails. The color is so pretty and so polished looking. Good luck getting all your papers graded! Austin!! I've heard the food scene there is off the page! I'd love to make it there at some point! Can't wait for your weekend cooking post on it. Happy belated birthday to Greyson (and your mom!). Love the nails. I've tried the gel manicures lately (that are supposed to last 10-14 days) and barely get 5 days out of them (something about my nails and nailpolish... they don't stick together well), but maybe I'll look into that Nexgen. Love the Cinderella color! Mmmmm a good juicy delicious piled-high burger sounds really good right now.